What is your favorite city to play derby in? I really loved skating at Craneway Pavillion, in Richmond, CA. It was like something out of a dream. Who was your first WFTDA derby crush?/Which WFTDA skater inspires you to work harder? I think my first derby crush was Miss Fortune. I wonder how many skaters know that name! Lol! Which MRDA skater and why? Oh man, that’s hard. I’m a big men’s derby fan. I have so many favorites. I had to choose someone that is not on my Denver team. I fell in love with Dylan Botts and Michael Jensen when I attended my first MRDA Champs in 2013. But to tell you the truth, I fell in love with A LOT of skaters that weekend. The talent in the MRDA is unreal but if I had to choose one, it would be Jamie Williams of Bridgetown Menace. If you want to talk about someone that is inspiring, Jamie Williams is 100% that person. When you travel with the team, who are your roommates? My bedmates are Stacie Wilhelm and her pillow boyfriend she uses to keep her and I apart. She gets me. What is your preferred post-bout meal? Post game is whatever I can shove in my face the soonest. But I shove it in my face really athletically. Pre-game I love a good eggs benedict in the morning. What song pumps you up? B.I.N.G.O. by The Puppies. Give it a listen – your life will never be the same. What is your favorite city to play derby in? I don’t have a favorite city to play in (unless you count Richmond, CA only because of one of B.A.D.’s home venues, the Craneway Pavilion. It’s one of the most gorgeous and scenic venues I’ve ever played in), but I enjoy playing in Florida as it means that my family and more of my friends can watch in person. 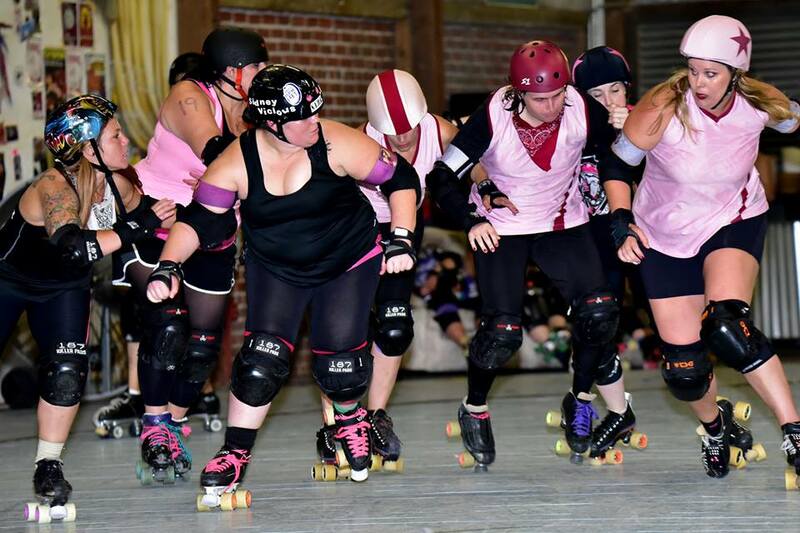 Who was your first WFTDA derby crush?/Which WFTDA skater inspires you to work harder? 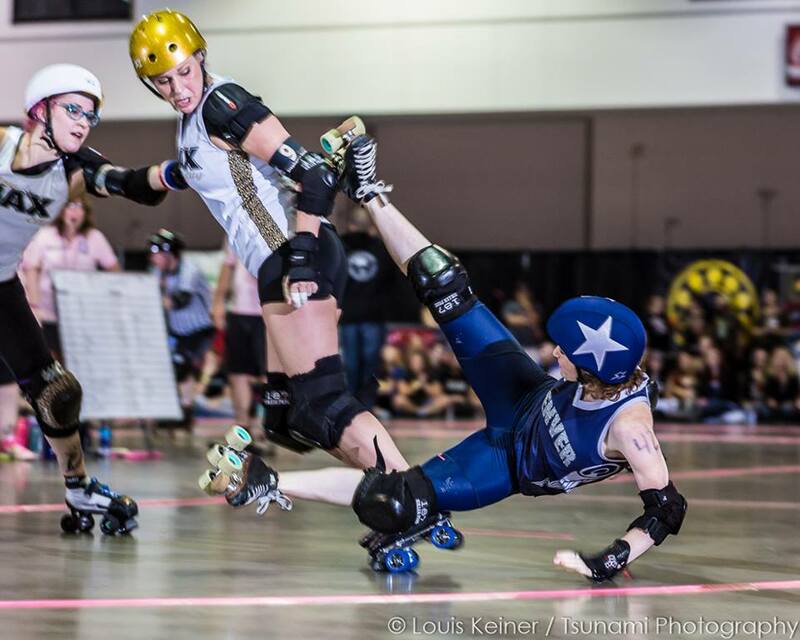 If I recall back to 2011, my first “derby crush” was former DC Rollergirls teammate, Yankee Scandal. So fast and agile on her skates, full of smiles, and such a considerate and supportive teammate. Honestly, every single member of my team – skaters and coaching staff – inspires me. When you have 20 plus other women pouring in countless hours of sweat and tears to work on their own game as well as team cohesion, practices are intense and can be emotionally and physically draining at times. But they push me to work harder and become a better, stronger, bigger, and faster version of my self with each rep, each drill, and each practice. Additionally, every blocker I’ve encountered throughout my derby career has inspired me to work harder on footwork, strengthen my drive, and play smarter. Thank you fiercely competitive opponents! Which MRDA skater and why? 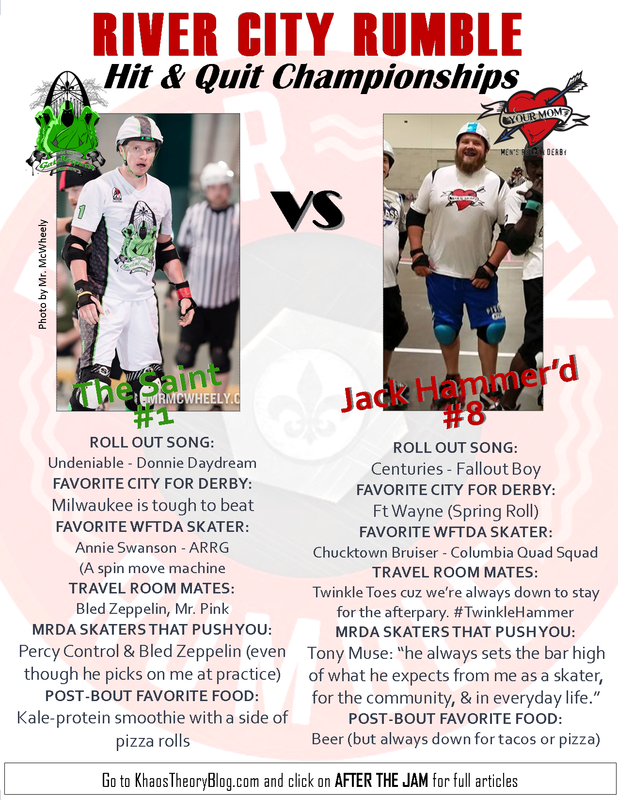 Can’t say I’ve ever “derby crushed” on any MRDA skater-gents. I enjoy watching men’s derby though and have played with/against various guys. I think it’s fun and challenges me to adapt and play derby with a slightly different physical and mental approach based on sheer size difference. When you travel with the team, who are your roommates? It changes every trip and I like that. Gives me the chance to bond with more teammates. What is your preferred post-bout meal? If I have another game that day/weekend, I go for my chocolate almond milk protein shake and something Thai — chicken, rice noodles with some veggies and lots of garlic and ginger. But if there are no more games to be had, I make it a priority to hunt down a juicy cheeseburger or pizza accompanied by a whiskey beverage, cider, or glass of vino. What is your favorite city to play derby in? Definitely St. Louis, MO (Ohhh, the irony)! AND my of course, my hometown, Milwaukee, WI! 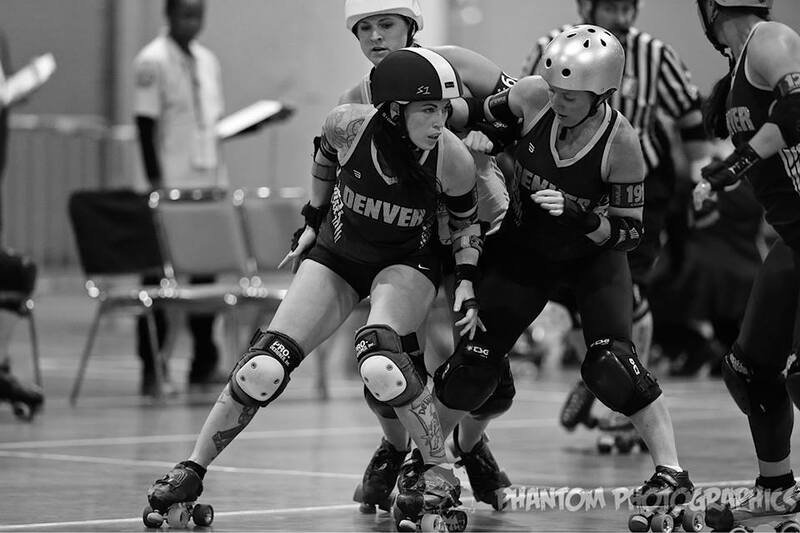 Which WFTDA skater inspires you to work harder? If I had to pick just one skater, (because my whole team inspires me and pushes me to work harder), I would pick my teammate, Atomic Mel Down! She plays the same position as me, but in another pack, so it’s easy to vibe off of her when we line up against each other at practice. She is strong, feisty and always gives 100%. I’m scared of the Red Dragon! Which MRDA skater and why? I really have to give credit to my first two coaches, Streak and Powder. They not only pushed me personally as a skater, but they pushed the whole team to realize that our possibilities are limitless. Also, I will always and forever crush on Percy Control (SLGK), Sugar Boots (YMMRD) and Screecharound (SLGK). When you travel with the team, who are your roommates? Erin Jackson (Baybee), Fancy Schmancy and Jamsterella. What is your preferred post-bout meal? Olive Garden! What song pumps you up? Arch Rival plays A LOT of music in locker room prior to a game. I would say GDFR has been the pump me up song of the 2015 season. What is your favorite city to play derby in? I have found year after year that Milwaukee is a blast. 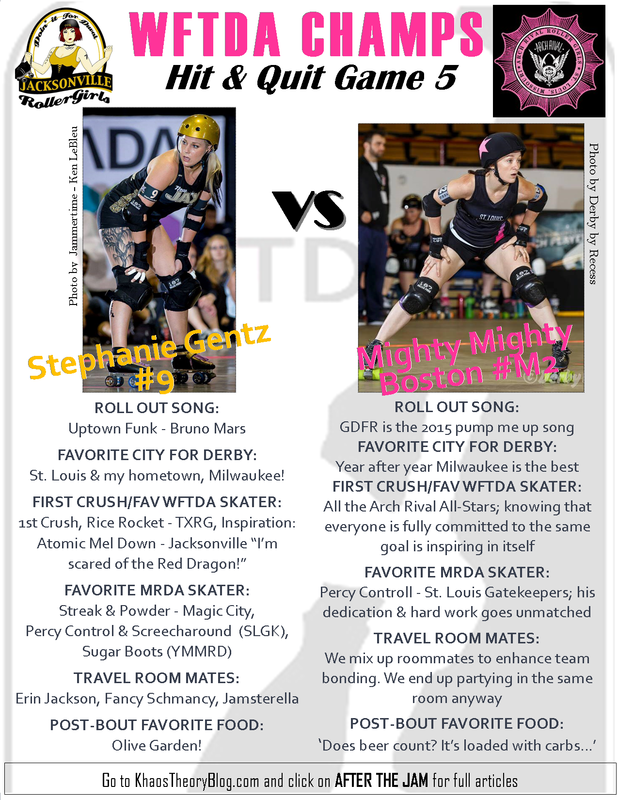 Who was your first WFTDA derby Crush? 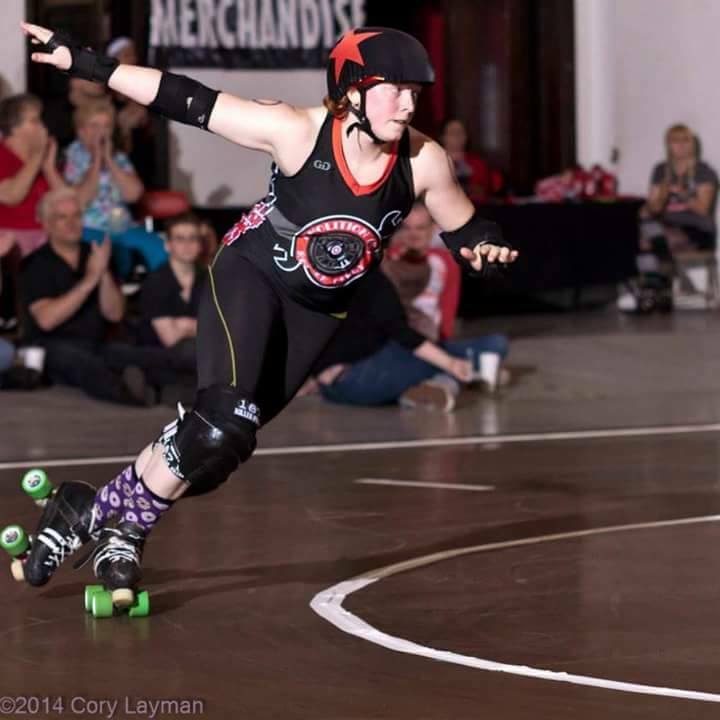 Which WFTDA skater inspires you to work harder? 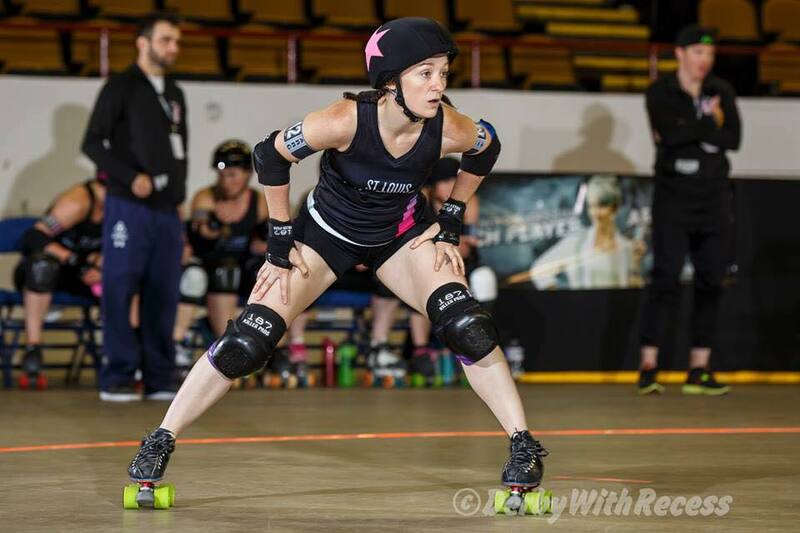 Honestly, I have no idea who my first WFTDA derby crush was….I’m currently crushing hard on the Arch Rival All Stars. I have been skating for six years and I have never had to work as hard as I did this season. Our blocking line up is amazing this season which requires me to be focused and give it everything I have at every practice. Knowing that everyone on my team is fully committed to reaching the same goal is inspiring in itself and naturally makes me want to work harder to be the best that I can be for my team. Who is your favorite MRDA skater and why? Percy Controll of the St. Louis GateKeepers. His dedication and hard work go unmatched. He strives to better himself and others around him on and off the track. He is committed to bringing St. Louis roller derby to a level to which it has never been. Given his role and the success of Arch Rival and the St. Louis GateKeepers in 2015, I would say he has been pretty successful! When you travel with the team, who are your roommates? Arch Rival loves each other! Who my roommates are going to be is always a surprise. We mix up roommates whenever we travel to enhance team bonding. We all end up partying in the same room once skating is done anyway. What song pumps you up? I cannot pick one! This question makes me crazy! What is your favorite city to play derby in? Seattle. I love this city. I am so grateful that I get to travel to play a sport that I love, but the derby community in Seattle is so great! There is a lot of love and competition. The junior teams here are so competitive. We all work together to push each other and everyone is pretty nice. 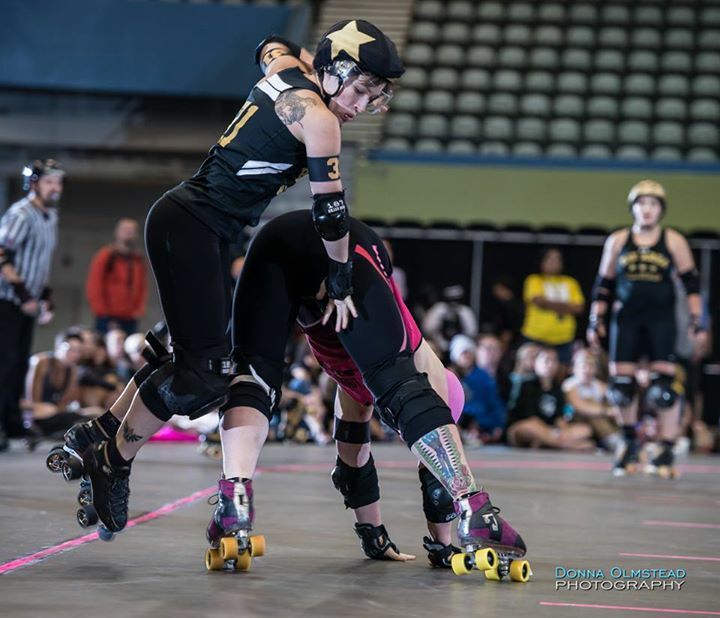 Who was your first WFTDA derby crush?/Which WFTDA skater inspires you to work harder? My derby crush is Freight Train, Texas. She skates with such power, grace and determination. It’s beautiful to watch. Really, I have to say it’s the junior skaters that inspire me to work harder. These kids have moves and drive like I’ve never seen. They work so hard and they don’t hold back. I strive to play and practice like them. They are truly my heart and inspiration. Once they age into adult derby the game will be on a whole new level! The kids are amazing….They are my derby heroes. Truth. Gal of Frey from Eugene Reservoir Dolls. Afro Jamurai and B. Moye, from Mob City LykkaLive Wire, Threatening Thunder, Elly/DisLykeHer and Lil Fist Fight, from Seattle Derby Brats, also, Mad Taco and Frank the Bunny from I5. Even though….Lil Fist Fight is my kid, she hits me really hard. She doesn’t hold back on me. I try to steal her moves, but I can’t do them. We talk trash to each other quite a bit. She challenges me every day to be the best. I am biase and don’t tell her, but she is my favorite skater. Who is your favorite MRDA skater and why? Quadzilla challenges me every day. His skill is amazing. He is so quick and light on his feet, yet strong. I just watch in amazement. When you travel with the team, who are your roommates? My roommates are Astrid Suchy-Dicey AKA Belle Tolls and Sintripetal Force. All that happens is overanalyzing everything, eating, reading, sleeping, laughing and perhaps a prebout/postbout freak out or two. It’s fun. What is your preferred post-bout meal? Patron, ice cream, and a steak or hamburger in that order. Don’t tell the kids. What song pumps you up? I have a couple of songs I have liked to play on repeat before bouts. Wolf Like Me by TV on the Radio does its job of turning me into a little beast. And Boys Wanna Be Her by Peaches is my jam. Plus, Tech N9ne just released a new KCMO Anthem thanks to the Royals and I’m pretty sure that’s going to be what gets our blood pumping this weekend. What is your favorite city to play derby in? Chicago! That’s partially because of the company (the Chicago Outfit is the girlfriend league to KCRW) and partially because as an Illinois girl, I’m in love with that city. That’s followed closely by San Francisco, but only because I didn’t actually get to play in San Francisco (I was a rookie when KCRW played there) yet I thoroughly enjoyed the experience of being in that amazing city. 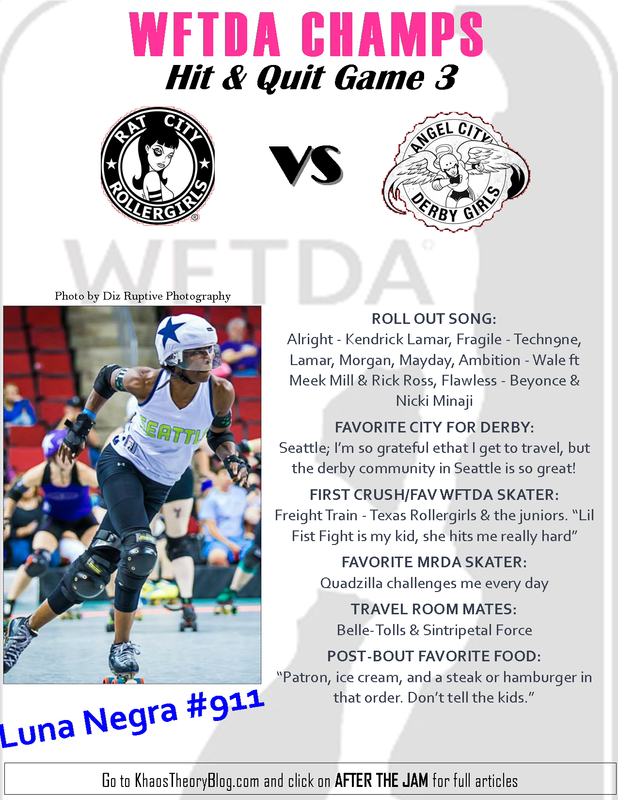 Who was your first WFTDA derby crush?/Which WFTDA skater inspires you to work harder? I love that you ask about my first WFTDA derby crush because I’m actually writing about her right now in a memoir I’m working on. It was Knoxville’s Goblynn, who I met during my first-ever travel bout in 2010. Her face was painted and their fans were telling us it was because she was some kind of public investigator and she needed it for protection. So whether it was true or not, I found her backstory fascinating. She also was an incredibly fast jammer and a sweetheart off the track. It was obvious the city of Knoxville adored her. I was so starry-eyed over her. And today, my own teammate Bruz-Her inspires me to work harder. Despite just earning MVP for our Cleveland tournament, she is incredibly modest about her skills. She just makes me want to be a better teammate and skater in general. Which MRDA skater and why? Bled Zeppelin from the Gatekeepers! I used to skate with his wife before we both transferred to our current leagues, so I know first-hand that he started from scratch to get to where he is today. That guy can stop on a dime and has so much agility it’s insane. And to see how much he and Kayla inspire each other honestly just makes me gaga over both of them. They both make me realize how far you can get with hard work. I’d also like to mention Bat Wing from the Gatekeepers, who was a very dear friend of mine. During the short time I had him in my life, he gave me an immense amount of encouragement and inspiration. I’ll have him in my heart—and on my helmet—during Champs. When you travel with the team, who are your roommates? My roomies are Mayhem Myers, Baby Buster, and Bruz-Her. I feel jammer-on-blocker snuggling brings us closer as a team. What is your preferred post-bout meal? I dine on the still-beating hearts of my vanquished foes! Unless I’m home, and then post-bout I like to grab a veggie pizza from my favorite place in Lawrence, Kansas: Pizza Shuttle. What is your favorite city to play derby in? LA! It’s not too far from Sacramento and we usually combine it with a trip to Disneyland. Who was your first WFTDA derby crush? Bay Area Derby Girls’ Murderyn Monroe. She effectively plays offense while playing defense and is a true force to be reckoned with on the track. 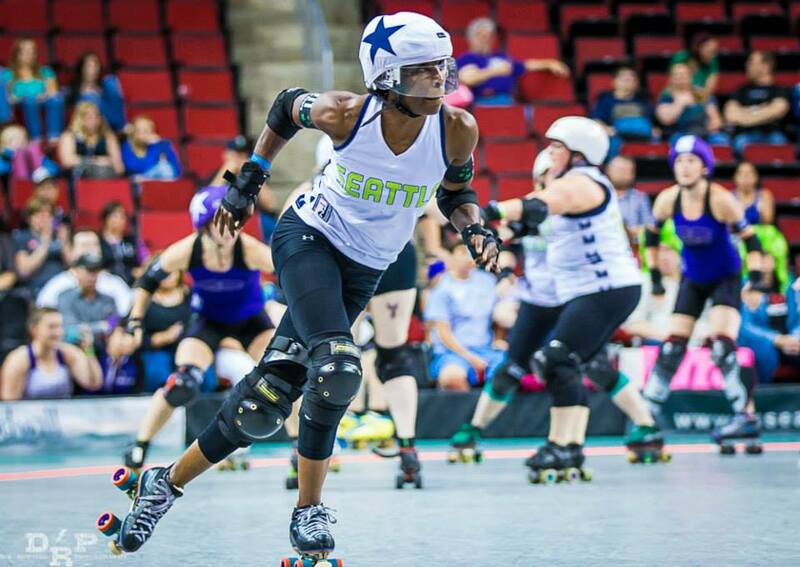 Which WFTDA skater inspires you to work harder? Stephanie Mainey from London Rollergirls. Her training style is so effective and motivational. Which MRDA skater and why? Thorsome of Tasmanian Mens Roller Derby. I had the chance to play with him the past 2 RollerCons and I think he is underrated. His height, track awareness, and agility make him effective on the track. What is your preferred post-bout meal? Making sure I am not hungry before a game allows me to focus on my mental game leading into a bout. A filling burrito for breakfast does the trick and then I don’t eat until after the bout. Song that pumps me up: Kevin Gates anything!! First derby crush: Julie Brandt-Glass at the time I came in… And still is! I have so many now! (Smarty, Val Kapone, DBC…) All these women are strong, independent and want more and the most from life!! My favorite MRDA skater is Scott Slamilton Whitkop- I mean it’s Scott he’s a beast, a gentleman and a true athlete!! My travel roommates are peeps who love their sleep and coffee but know how to enjoy the whole experience! My favorite post-bout meal is subway and or a clean veggie-fruit smoothie add PeanutButter!! Pick one lol. 1) What song pumps you up? My Sharona (by The Knack) – not sure why just makes me to skate fast. 2) What is your favorite city to play derby in? Evansville! Nothing can beat playing for your home crowd. 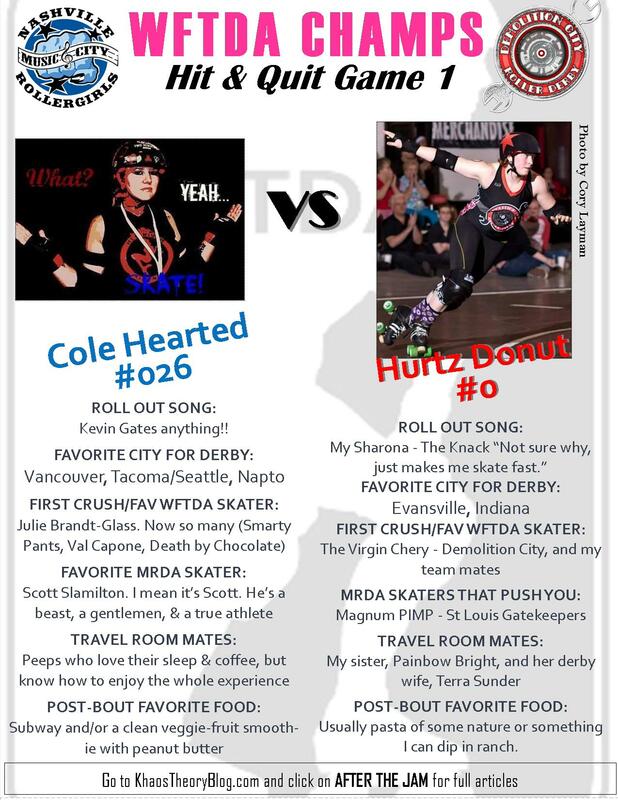 3) Who was your first WFTDA derby crush?/Which WFTDA skater inspires you to work harder? When I first started I didn’t know about all the big city team skaters so it was actually a teammate of mine – The Virgin Cherry. She was fast, and powerful and I wanted to be just like her. Who currently inspires me to work harder are my teammates. My blockers always push me to get stronger and my fellow jammers inspire me to learn and grow in my abilities. 4) Which MRDA skater and why? Magnum P.I.M.P. 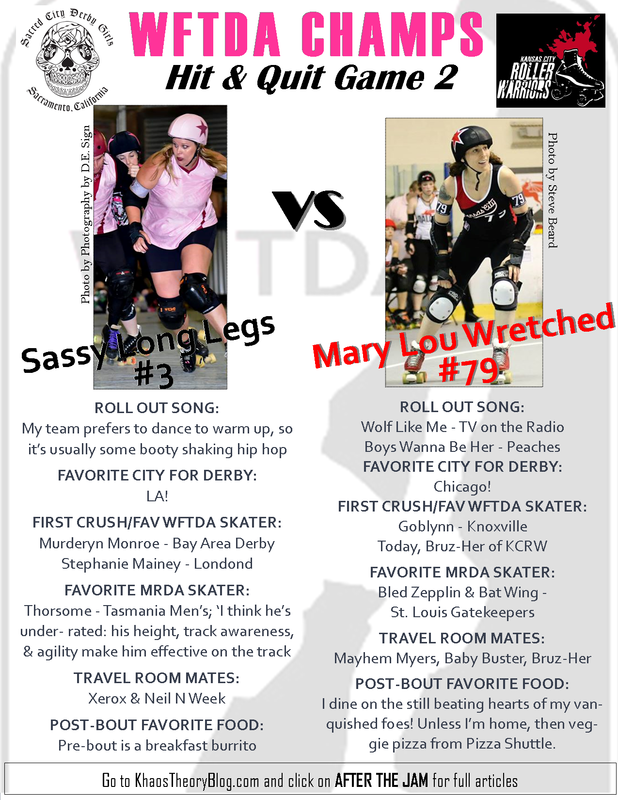 – being close to St. Louis we invited them over to exhibit men’s derby back in 2010 and he was just amazing to watch then (as men’s derby was so new and had a different flavor than women’s derby) and is still awesome to see skate today. 5) When you travel with the team, who are your roommates? Usually my sister, Painbow Bright, and her derby wife Terra Sunder. 6) What is your preferred post-bout meal? Usually pasta of some nature or something I can dip in ranch. 2) What is your favorite city to travel to play derby in? ummm I don’t ever see the city we are playing in, usually the hotel, venue, airport, and after party. One place I have really enjoyed playing was Spring Roll in Ft. Wayne, Indiana. The event itself is such a community event. Such respect and fun between all teams. It feels like spring break. But the only place I look forward to playing every year is at champs regardless of where it is held. 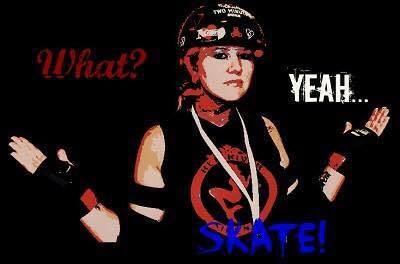 3) Who is your favorite WFTDA skater and why? I feel like this is a setup lol, honestly Chucktown Bruiser (Chris Sabet) from Columbia Quad Squad. We uses to be roommates and her better half Mel Strube (doesn’t play derby) and just fun person and is a beast on the track but always makes me feel like family. 5) Which MRDA skater pushes you to be better [because they’ve beaten you in the past]? The MRDA skater that pushes me the most on and off the track to be better is Tony Muse. As we have been rivals and friends for many years now he has always set the bar high of what he expects from me as a skater, for the community, and as a person in everyday life. 6) What is your favorite post-bout food? Seriously, food after a bout only consists of beer. And maybe what ever is at the after party. But always down for tacos or pizza. 3) Who is your favorite WFTDA skater and why? 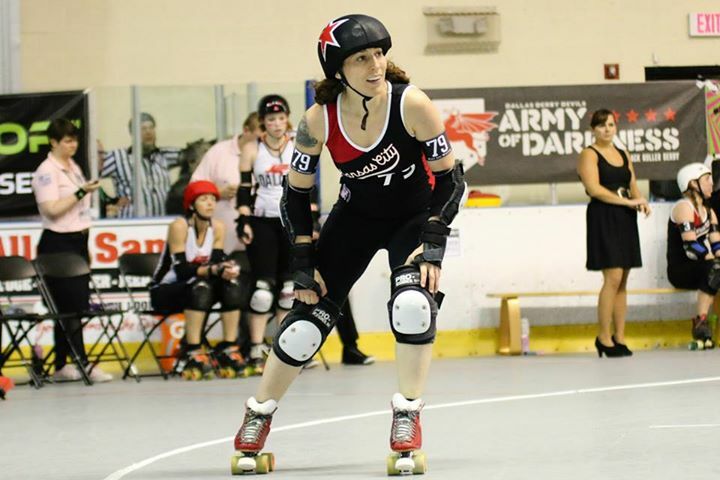 Annie Swanson of ARRG… a spin move machine. She is way better at jamming than I ever was. 4) When the team travels, which team mate(s) do you room with? Bled Zeppelin and Mr. Pink., we have hotel room ground rules that must be followed. 5) Which MRDA skater pushes you to be better [because they’ve beaten you in the past]? Percy Controll has played a huge part in helping me become the player I am today and Bled Zeppelin… even though he picks on me at practice.